Starting with a deep ostinato in the low register of the double bass, gently, almost vulnerably the guitar joins in, playing string after string of a broken chord allowing the tenor saxophone to pick up the theme. Meanwhile the drummer subtlety spins an oscillating rhythm in the background. 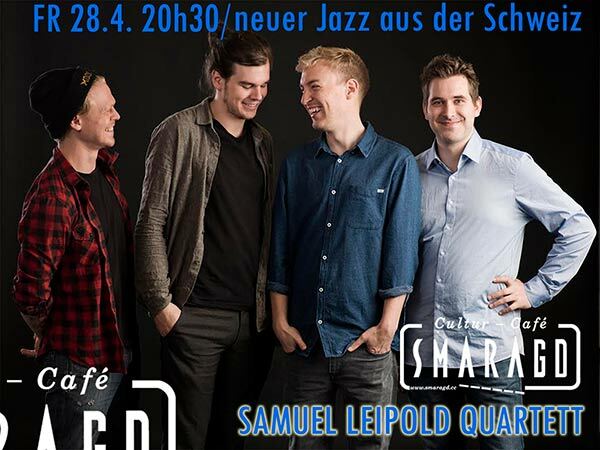 So starts the subtle and passionate debut record of the Swiss guitarist Samuel Leipold. He found inspiration for “Sieben kurze Stücke // Seven short songs“ in the piano works of the Swiss composer Arthur Honegger which he then transports into his own sound universe in a surprisingly fresh way avoiding any cliches. Leipold shows himself to be a formidable accompanist as well as a virtuoso soloist knowing how to set the pace through elaborate harmony and interesting melodic turns. Toni Bechtold, Lukas Traxel and Samuel Büttiker are the perfect match for this highly communicative quartet.